Draper, Utah. — AutoSource, the largest dealer of branded title cars in the United States, has opened a new dealership in Draper, Utah. Home to over 47,000 people, Draper is located roughly 20 miles south of Salt Lake City. AutoSource Draper aims to bridge the gap of AutoSource rapidly growing area of south Salt Lake County. Chad Cannon, Senior Marketing Director at AutoSource said, “Where Smart Money Buys is our slogan, and with over 25,000 cars sold, I think it’s easy to tell where individuals and families are choosing to buy.” Draper has long been known as a family friendly community and AutoSource hopes to be a foundation of the community for years to come. With a devoted sales staff and vast selection of vehicles, there is something for every buyer. AutoSource Draper is conveniently located at 14403 Minuteman Drive, Draper, UT 84020 and is open Monday-Friday, 10:00 AM-7:00 PM, and Saturday 9:00 AM–7:00 PM. For more information about the new AutoSource Draper location and its vehicle selection, visit MyAutoSource.com or call (833)557-1432. 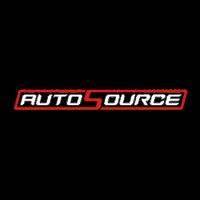 Founded in 2005, AutoSource is the nation’s leading provider of branded title vehicle sales. Selling over 30,000 units, AutoSource has expanded from one dealership in Woods Cross, UT to eight dealerships across four states in UT, ID, CO, and NV.